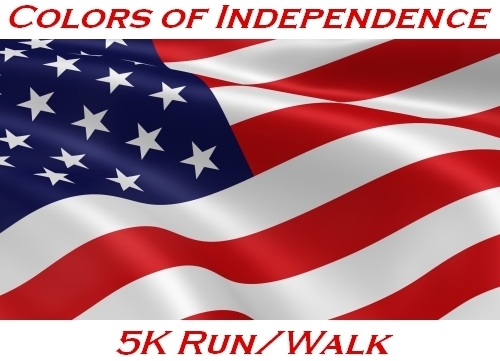 The Town of Union’s “Colors of Independence 5K Run/Walk” will benefit the John Mack Foundation this year! Join us as we kickoff the Town of Union’s celebration on July 4th at Highland Park. The day starts at 9:00 AM with this fun color run/walk and culminates with the spectacular fireworks display. This year’s theme is creating a Heart Safe Community. The Union Volunteer Emergency Squad will be at Highland Park conducting “Hands-Only” CPR classes every half hour starting at 10:00 AM. The John Mack Foundation is dedicated to the prevention of sudden cardiac death through education and access to life-saving defibrillators (AEDs). We’ve been a big part of creating a Heart Safe Community working with many local organizations to get AEDs into the community. Together, we can do this! Get trained and become an integral link in the chain of survival! Whether you walk or run, hit the color stations or skip them, it’s a fun family-friendly event. What better way to start your July 4th than by kicking your heart rate up a beat and supporting a good cause!